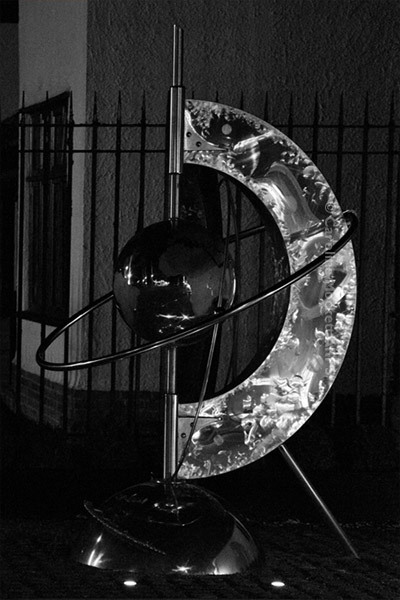 Notes: This is a sculpture outside the Chelmsford factory of technology company e2v. As the culmination of a 10-year mission, today the ESA landed the Philae probe on comet 67P/Churyumov-Gerasimenko. The imaging sensors, which have already been sending back some fantastic pictures from the robotic probes Rosetta and Philae, were manufactured right here in Chelmsford by e2v. How cool is that?